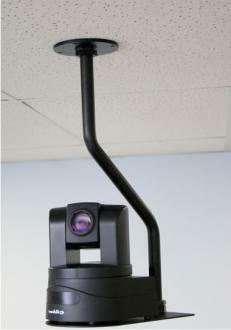 For mounting the Vaddio RoboSHOT 20 UHD camera halfway into a ceiling tile. 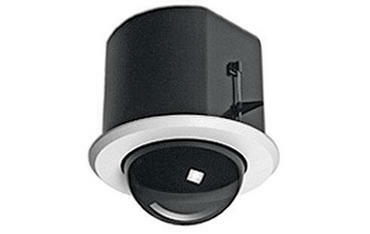 For mounting the RoboSHOT 12 and 30 PTZ Cameras only. 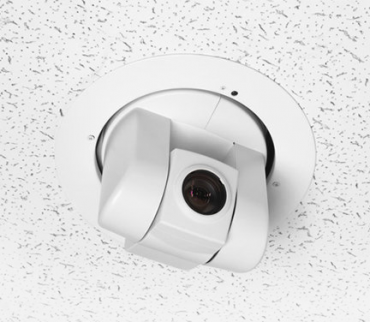 For mounting the Vaddio RoboSHOT and HD-Series PTZ Cameras halfway into a ceiling tile. 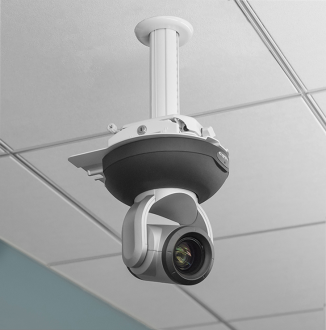 Standalone installation kit for hard ceiling applications. 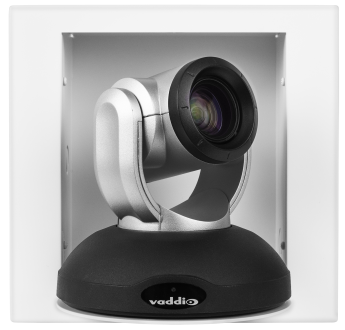 Offset drop-down with ceiling mounting bracket for Vaddio RoboSHOT 12 and 30 cameras and Vaddio HD-series PTZ cameras. 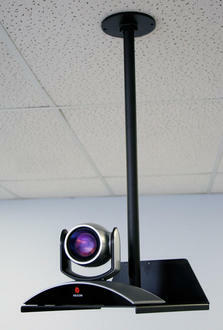 Offset drop-down with ceiling mounting bracket for Sony BRC series WallVIEW PRO and CCU camera systems. 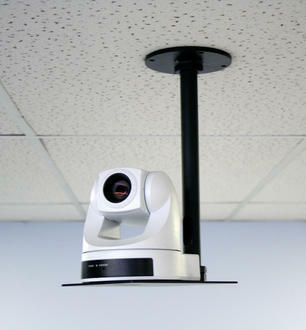 Drop down ceiling mount compatible with WallVIEW 50, 70 and 100 camera systems. 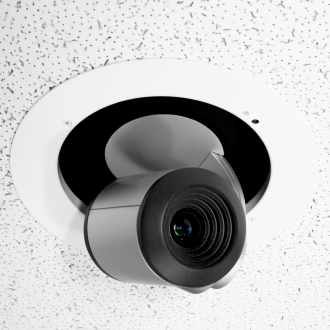 Drop down ceiling mount compatible with WallVIEW PRO HD1 and CCU HD1 camera systems. 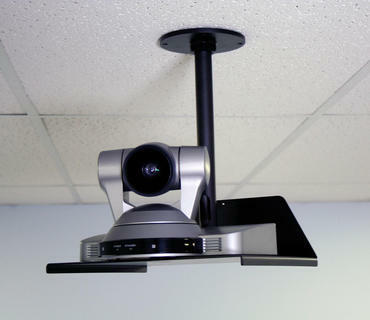 Drop down ceiling mount compatible with WallVIEW PRO HD1, WallVIEW PRO EagleEye and CCU HD1 camera systems. 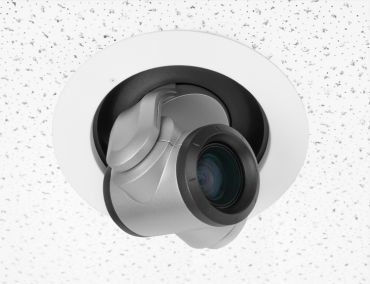 Converts standard suspended ceiling mount to 1-inch NPT thread. 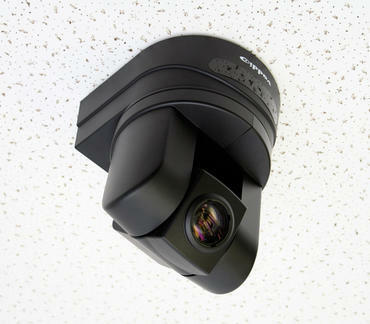 Drop-down ceiling mount adapter kit for the RoboTRAK Double Decker Wall Mount. 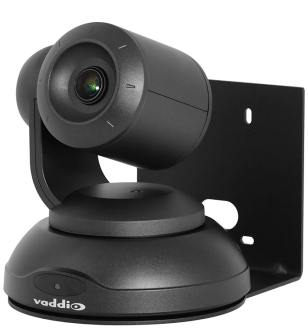 Clear replacement dome for Outdoor Pendant Dome with stainless steel screws for Vaddio RoboSHOT and HD-Series PTZ Cameras. 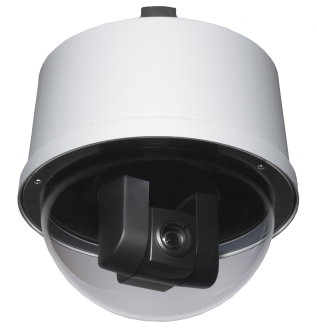 Smoke tinted replacement dome for Outdoor Pendant Dome with stainless steel screws for Vaddio RoboSHOT and HD-Series PTZ Cameras. 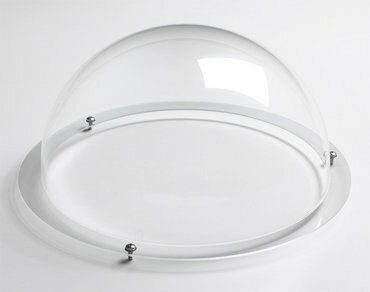 Flush Mount Dome for use with Sony EVI-D70 PTZ camera. 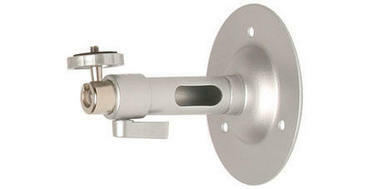 Mounting box with heavy-duty 1.5-inch NPT adapter. 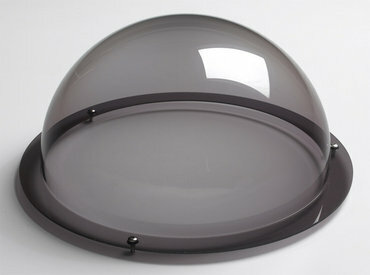 Heavy-duty aluminum wall mounting kit for Indoor and Outdoor Pendant Domes. 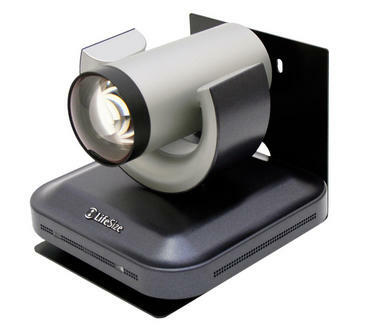 Heavy-duty aluminum wall mounting kit with pole mount for Indoor and Outdoor Pendant Domes. 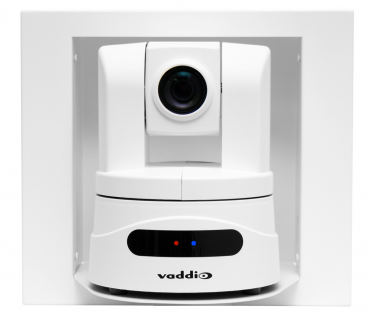 Replacement or additional Wall Mount Bracket for Vaddio RoboSHOT 12 and RoboSHOT 30 PTZ Cameras. 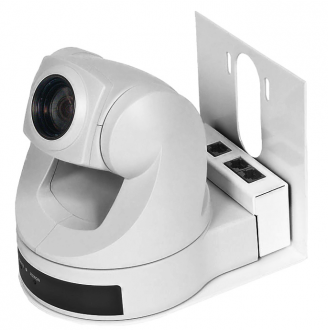 Wall Mount for ClearVIEW HD-20SE, PowerVIEW HD-22, and PowerVIEW HD-30 Cameras. 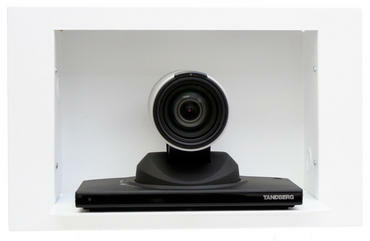 Thin Profile Wall Mount for Sony and Panasonic PTZ Cameras. 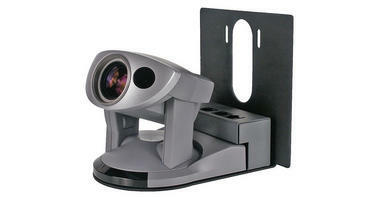 Wall Mounting bracket for Sony BRC-H900. 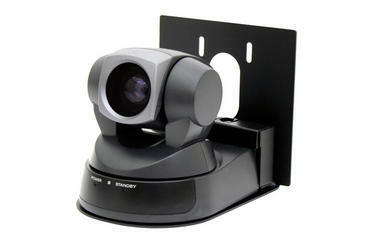 Wall Mount for Sony BRC-H700 Pan/Tilt/Zoom Camera - Black. 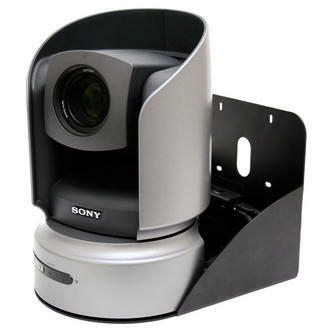 Wall Mount for Sony BRC-Z700 Pan/Tilt/Zoom Camera - Black. 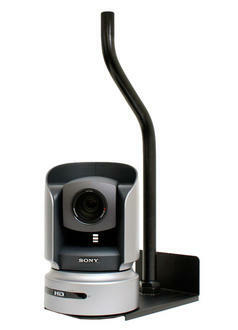 Wall Mount for Sony BRC-Z330 Pan/Tilt/Zoom Camera - Black. 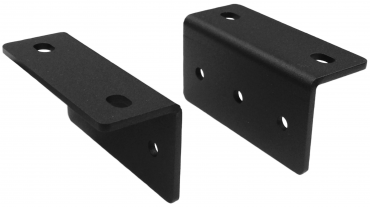 Wall Mounting bracket for Canon XU-80, XU-81 or Canon XU-80W. 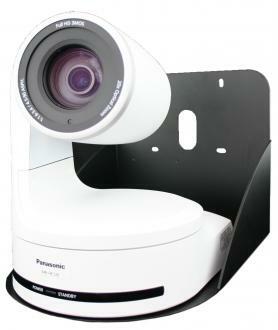 Wall mounting bracket for Panasonic AW-HE130 & AW-HE120. 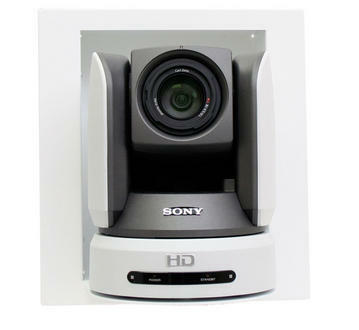 Wall Mount for Sony EVI-HD1 Pan/Tilt/Zoom Camera - Black. 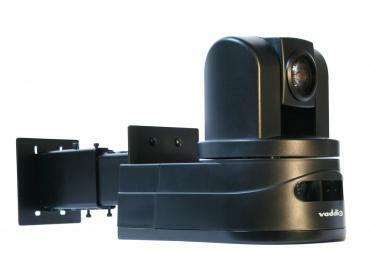 Wall Mount for WallVIEW CCU and WallVIEW PRO HD-1 PTZ camera systems. 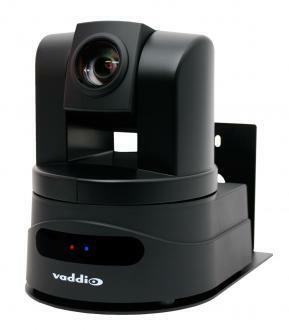 Wall Mount for Sony EVI-HD7V Pan/Tilt/Zoom Camera - Black. 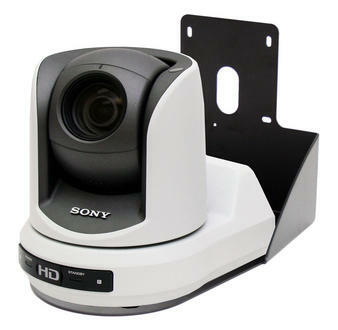 Wall Mounting Bracket for Sony EVI-D80 or Sony EVI-D90 SD PTZ Cameras. 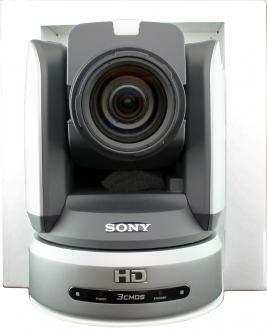 Wall Mount for Sony EVI-HD3V Pan/Tilt/Zoom Camera - Black. 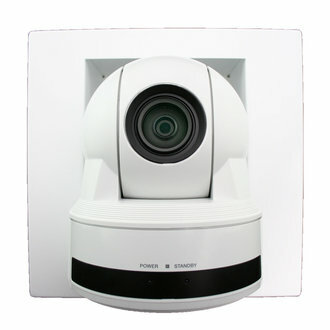 Wall Mount for Sony EVI-D70 Pan/Tilt/Zoom Camera - White. 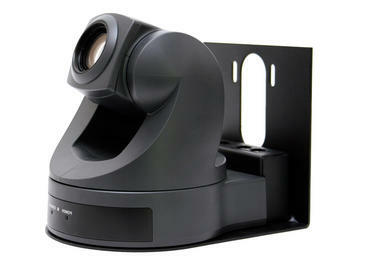 Wall Mount for Sony EVI-D70 Pan/Tilt/Zoom Camera - Black. 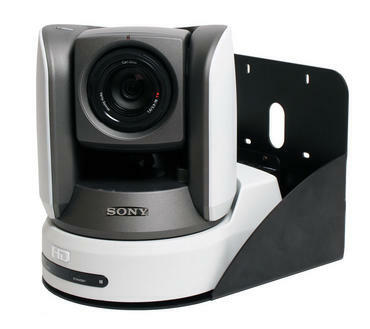 Wall Mount for Sony EVI-D100 Pan/Tilt/Zoom Camera - White. 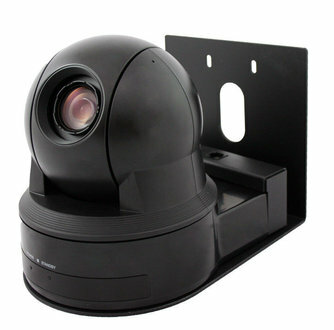 Wall Mount for Sony EVI-D100 Pan/Tilt/Zoom Camera - Black. 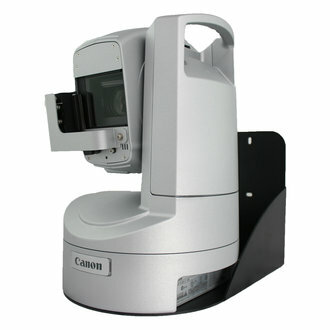 Wall Mount for Canon VC-C50i Pan/Tilt/Zoom Camera - Black. 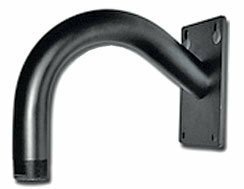 Wall Mount for LifeSize HD Camera - Black. 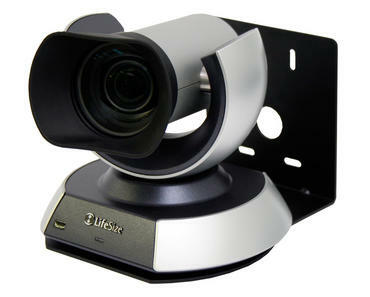 Wall Mount for LifeSize 10x Camera - Black. 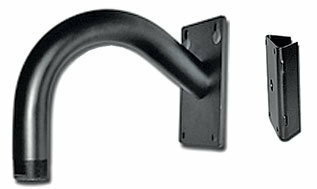 Wall mounting bracket for Cisco PrecisionHD camera. 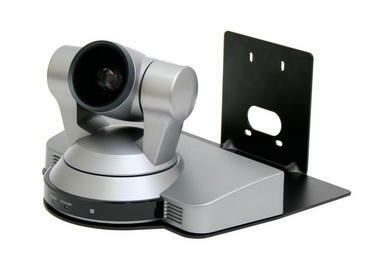 Wall mounting bracket for Cisco Precision 60 camera. 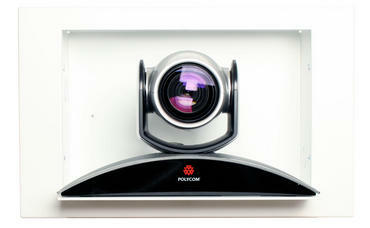 Wall mounting bracket for Polycom EagleEye IV camera. 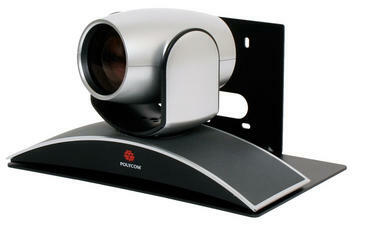 Wall Mount for Polycom EagleEye / EagleEye II / Eagle Eye III - Black. 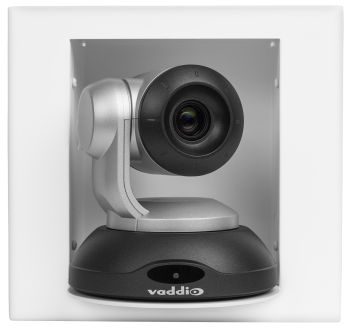 Adjustable extension wall mounting bracket for Vaddio™ WallVIEW HD-Series, RoboSHOT™ Series and CONCEAL wall mounting systems. 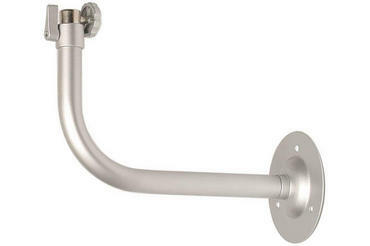 Aluminum tubular telescopic design for wall mounting cameras. 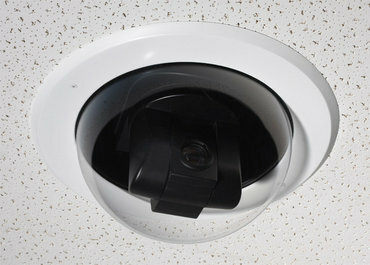 Replacement mount for RoboTRAK systems. 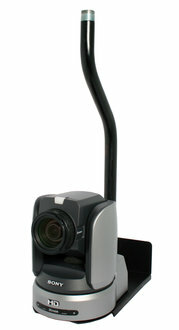 Please note: This mount is included with purchase of RoboTRAK system. 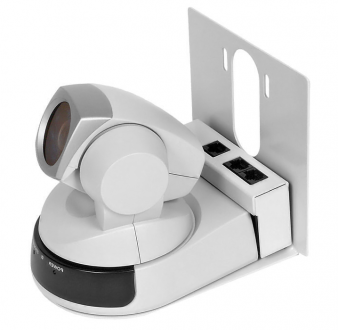 Attractive In-Wall Enclosure for ClearVIEW HD-USB, PowerVIEW HD-22 and HD-30 cameras designed to fit the EZCamera Interface Module (EZIM) in the back of the box to enable Cat. 5 cabling. 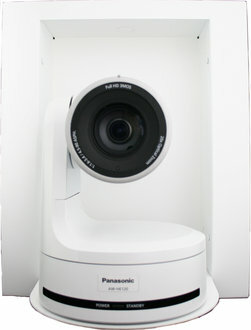 Attractive In-Wall Enclosure for the WideSHOT, ZoomSHOT 20 and Sony EVI-D70 designed to fit the EZCamera Cable shoe in the back of the box to enable Cat. 5 cabling. 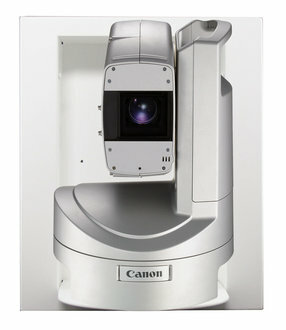 IN-Wall mounting option for Canon XU-80 and XU-81. 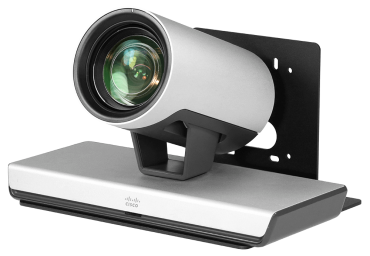 Attractive IN-Wall mounting system for the Cisco Precision 60 Camera model only. 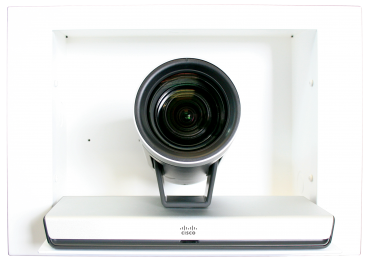 Attractive IN-Wall Enclosure designed to fit the Cisco PrecisionHD and its respective cabling systems. 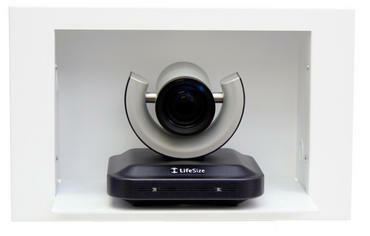 Attractive IN-Wall Enclosure designed to fit the LifeSize HD and its respective cabling systems. 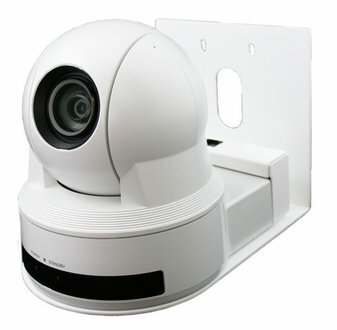 Attractive IN-Wall Enclosure designed to fit the LifeSize 10x Camera and its respective cabling systems. 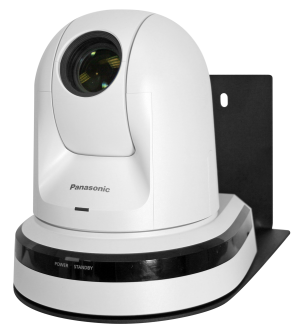 The IN-Wall Enclosure for the Panasonic AW-HE130 & AW-HE120 is designed and sized to fit the entire PTZ camera system including the camera, EZIM and dongle to enable the use of Cat. 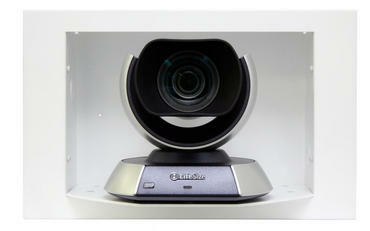 5 cabling. 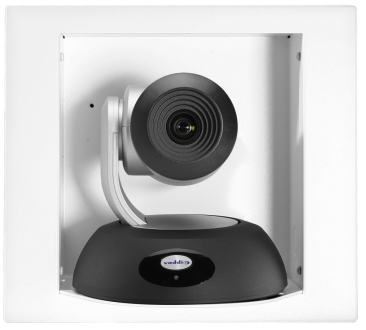 Attractive IN-Wall Enclosure designed to fit the Polycom EagleEye and the EZCamera Interface Module (EZIM) in the back of the box to enable Cat. 5 cabling. 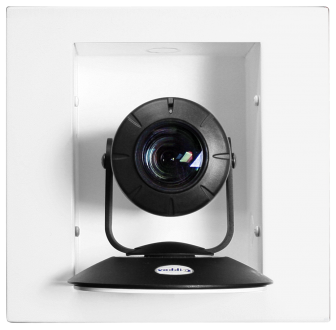 Attractive IN-Wall Enclosure for Sony BRC-300 designed to fit the EZCamera Interface Module (EZIM) in the back of the box to enable Cat. 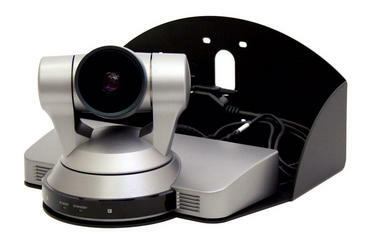 5 cabling. 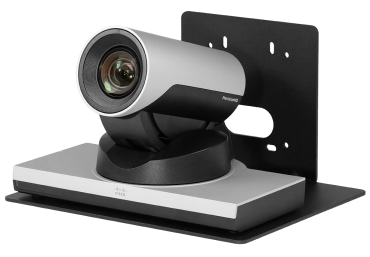 Attractive IN-Wall Enclosure for Sony BRC-H700 designed to fit the EZCamera Interface Module (EZIM) in the back of the box to enable Cat. 5 cabling. 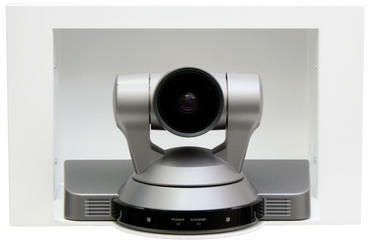 Wall Mounting option for Sony BRC-H900. 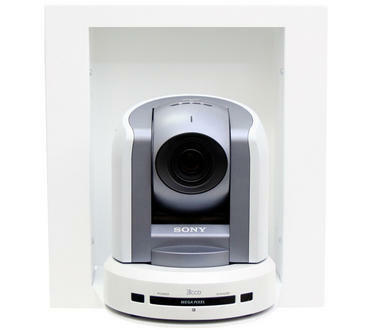 Attractive IN-Wall Enclosure for Sony BRC-Z330 designed to fit the EZCamera Interface Module (EZIM) in the back of the box to enable Cat. 5 cabling. 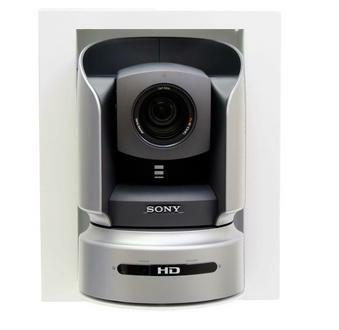 Attractive IN-Wall Enclosure for Sony BRC-Z700 designed to fit the EZCamera Interface Module (EZIM) in the back of the box to enable Cat. 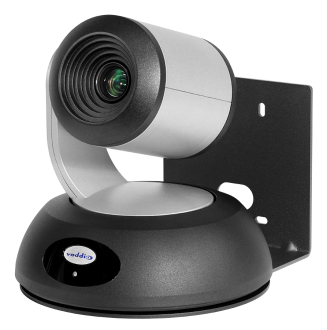 5 cabling. 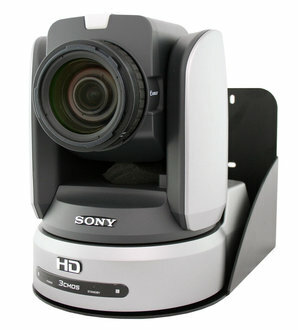 IN-Wall mounting option for Sony EVI-D80 or Sony EVI-D90. 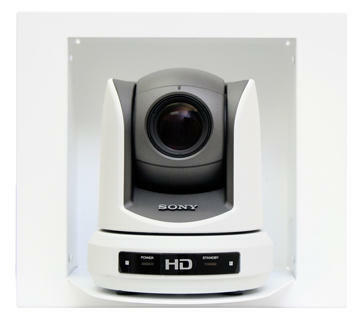 Attractive IN-Wall Enclosure for Sony EVI-HD1 designed to fit the EZCamera Interface Module (EZIM) in the back of the box to enable Cat. 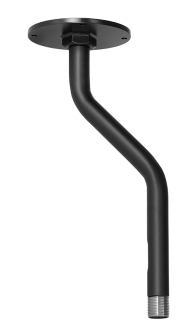 5 cabling. 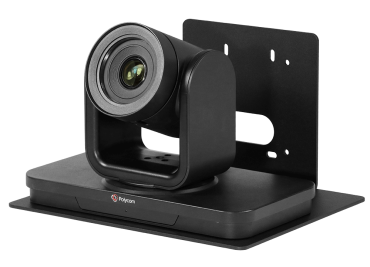 This optional rack panel is compatible with the PresenterPOD and Quick-Connect DVI/HDMI Interfaces. 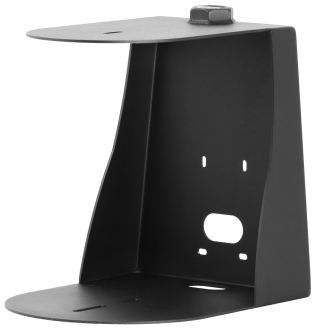 Rack panel for CeilingVIEW HD/SD and WallVIEW HD-20/HD-19/HD-18 SR designed to hold up to three CeilingVIEW or Short Range Quick-Connect boxes on a 1-RU panel. 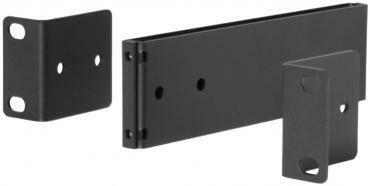 Rack panel that mounts up to three Quick-Connect boxes in a rack mount application.